Natasha releases EP & collaborates with legendary Jose Feliciano & Irish Group Clannad on her forthcoming album. Natasha won Miss England 2015 at the Ricoh Arena and represented the nation at Miss World . Nottingham Live reported ‘Her stunning voice, a cross between a breathy Kate Bush with the pitch and vocal range of Katherine Jenkins, is definitely one to look out for”. At the age of 23, the former Miss England from Cheshire is in her final year at the Prestigious Royal Northern College of Music in Manchester, having attended the Junior RNCM since the age of 14. She studied voice, piano, flute, is asongwriter, a pop singer, accomplished dancer, and a classical prodigy. For the past 2 years, she has been busy writing and recording her EP music which was recorded at the famous Abbey Road studios. It shows her unique style and is released on 1stFebruary 2019 and available across all digital platforms (Spotify, iTunes etc). 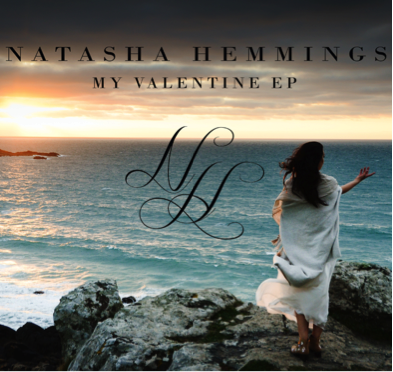 The EP release has three beautiful love songs “My Valentine” written by Natasha , “Wuthering Heights “and Aerosmith’s “I Don’t Want To Miss a Thing. In her unique layered sound with pure vocal, Natasha would say it is ‘easy listening’. She decided to cover ‘Wuthering Heights’ by Kate Bush who she says is ‘just so inspirational’. Touring with the Overtones at Christmas (as the support act) led to good reviews. After performing the cover of this song in her performances fans were enquiring where to buy the track. She decided to go into the studio and record it for the EP. Her forthcoming album is a mixture of classical and pop and will be released later in the year, features legendary artists such as Grammy award winner Josie Feliciano on guitar and Clannad (“Harrys Game’) on some of the harmonies. As a professional Artist she understands the business and decided to put her music out on her own label Raspberry Records. She is also acutely aware of the positives of social media and has garnered 47,000 Twitter and 11,000 Instagram followers so far. “I have learnt a lot about the industry having performed at many venues including The Symphony Hall, Birmingham, Bridgewater Hall, Manchester, Royal Concert Hall Glasgow, The Sage, Gateshead, Royal Concert Hall, Nottingham and The Indigo O2, London. I didn’t set out to be a classical artist when I started writing but because I’ve been trained from a young age in classical it has influenced my style so I’m now in the classical-crossover genre”. On the pop side, she loves everything from r’n’b along Beyoncé and Chris Brown to Kate Bush. She also sites Linkin Park, pure disco and icons like Michael Jackson, an inspiration to her song writing.